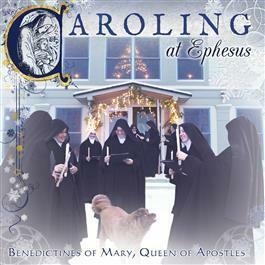 In their latest recording, the best-selling Benedictines of Mary offer an exuberant new album of Christmas carols. This stirring, inspirational collection features well-known and lesser-known carols from across the globe, lovely lullabies and lively welcomes to the Infant Christ. Includes O Holy Night, God Rest Ye Merry Gentlemen, Patapan, Down In Yon Forest, What Child is This, Good King Wenceslaus,and many more. 24 glorious carols in all. While By My Sheep, & O Come All Ye Faithful.